Rentawebmaster.ca offers a vast array of computer related services. Although we specialize in web site solutions; we also consult and quote on hardware, software and networking solutions, offer name registration and hosting solutions as well as provide online help desk and in home tutorial and support services. 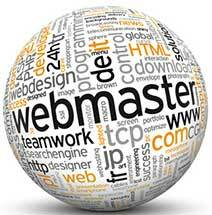 Our staff consists of experienced Webmasters, Graphic Artists, Marketing Specialists, and Hardware and Software gurus! If it involves a computer we will get the job done!